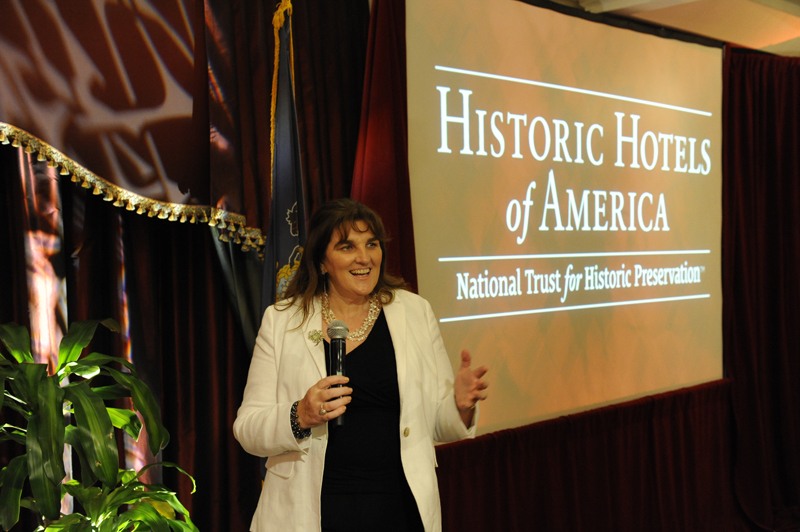 Michelle was delighted to be invited to deliver a keynote speech on the importance of photography for historic hotels at the Historic Hotels of America Annual Conference, which took place in October 2014 at the Hotel Hershey in Hershey, Pennsylvania. For these heritage hotels, brimming with character and charm, history is their ace card and this defining factor needs to be played out proudly in their visuals. It’s important to remember that some landmark historic hotels have even helped to put a city on the map. The audience at this conference consisted of key people from the historic hotel industry in the USA and beyond: 250 hotel owners, general managers and senior managers, with representation from historic hotels worldwide too. 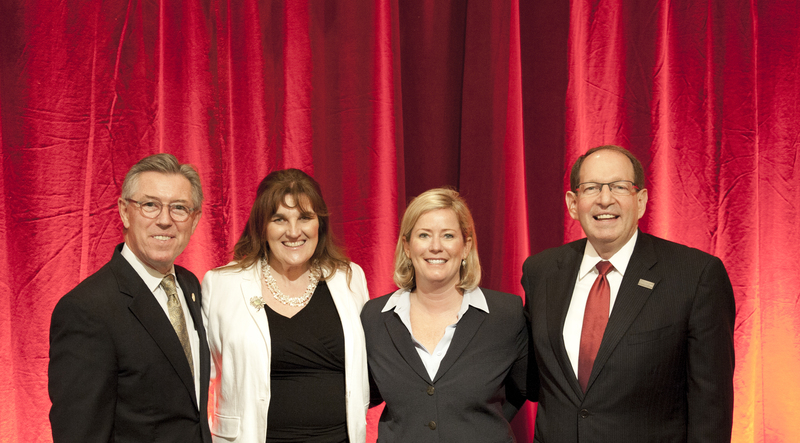 Brian O\’Day General Manager of The Hotel Hershey, Michelle Chaplow founder of Hotel Essence Photography, Lindsey Ueberroth, President and CEO of the Prefered Hotel Group, Larry Horwitz Executive Director, Historic Hotels of America and Historic Hotels Worldwide. Conference events included workshops; local food tastings; PR, marketing and social media sessions; and the Annual Awards Ceremony and Gala Dinner – here’s the full conference agenda Historic Hotels of America Annual Conference 2014 | Agenda. Other speakers included former professional baseball umpire Al Clark, and media strategist and journalist Barbara DeLollis. Michelle always enjoys being able to share her top tips for historic hotel photography. Upgrading photography at least once every two years is essential for hotels. • Industry guidelines are leading the way: many Online Travel Agents (OTAs) will now not accept images more than three years old. • It may sound strange, but old hotels do need new photos. All hotels, including historic hotels, need to capture and market new imagery. • New imagery will create fresh interest – just think of all the millions of images of the Eiffel tower – every so often a different angle will capture your attention. It’s the same with hotels: consumers crave fresh visuals. • Technology has moved on – quality, high-end hotel photography is now better than it has ever been before. • With Social Media, you will have more engagement and responses if your tweets and posts include photos – good-quality ones, naturally. Consumers are more likely to book rooms, pay higher rates and stay longer when drawn by quality photos. • Darlene Rondeau Vice-Present of Online Merchandising at Leonard. “Images are particularly useful during the initial stages of hotel research because they allow a quick, easy evaluation of the property”. • When a family is browsing on the web for a hotel to stay in, they can get an “idea” and a “feel” for a hotel from the photos on that specific hotel’s website. • We process images 60,000 times faster than words, so time is of the essence. It goes without saying that all images on a hotel website should be of the highest quality. Expedia states: “It is important to invest appropriately in one’s online brochure. Make sure to have plenty of pictures. This helps create more bookings and capture higher ADR. Potential guests will stay longer on a hotel’s website when the visuals are strong and hooked into the establishment’s heritage and history, sending that “take me there” message. They’ll quickly understand that this hotel will give them an experience like no other. Guests will pay a premium to stay in such a hotel. “How to get more from your Professional Photographer” – each attendee received their own specially-printed colour brochure. 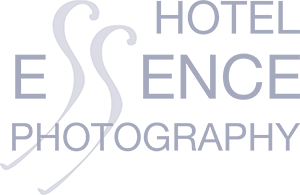 Choose a hotel photography crew which is genuinely interested in your history; if your history doesn’t spark their curiosity, then this essential interest and engagement will not be reflected in your photos. These are great tips for historic hotels. We enjoyed having Michelle at the conference. We look forward to working with her in the future. Many thank,s looking forward to working with Historic Hotels of America again soon!